The dramatic scaling back of out-of-home industry body Outsmart has raised questions about the future funding of marketing initiatives for the sector. Several industry sources blamed the decision by Outsmart to downsize to a smaller trade body on Exterion Media, whose private-equity backer Platinum Equity is said to be unwilling to maintain six-figure membership fees. The move means all but two – a researcher and a website co-ordinator – of Outsmart’s ten staff will lose their jobs. Chief executive Alan Brydon and chairman Mark Craze will both leave the organisation. Outsmart rebranded from the Outdoor Media Centre in September last year. It shifted its focus from holding promotional events to hiring a bigger team of staff who would proactively speak to stakeholders and generate research on a more intensive basis. However, JCDecaux, the world’s biggest out-of-home company, refused to rejoin the body after it quit the OMC in January 2015. Each Outsmart member pays a fee that is proportional to its size according to a funding formula, meaning JCDecaux would have been the biggest contributor. It is understood that Exterion began reviewing its Outsmart membership several weeks ago. The company is one of five council members – alongside Clear Channel, Ocean, Outdoor Plus and Primesight – at the body. One well-placed source described Exterion as "trouble-makers" but denied rumours that the company is also considering reviewing its contribution to Route, the out-of-home sector’s effectiveness research programme. Route’s next round of funding, which will cover a six-year period, is proposed to begin next year. The source said: "I don’t think they will pull out of Route because they understand that if Route is good, it should be marketed. "But it’s clear that, if you’re venture-capital-backed, you don’t care about the next six years, you only care about the next six months." Exterion would not comment when contacted by Campaign. Clear Channel, whose chief executive Justin Cochrane will become the new chairman of Outsmart, also declined to comment. 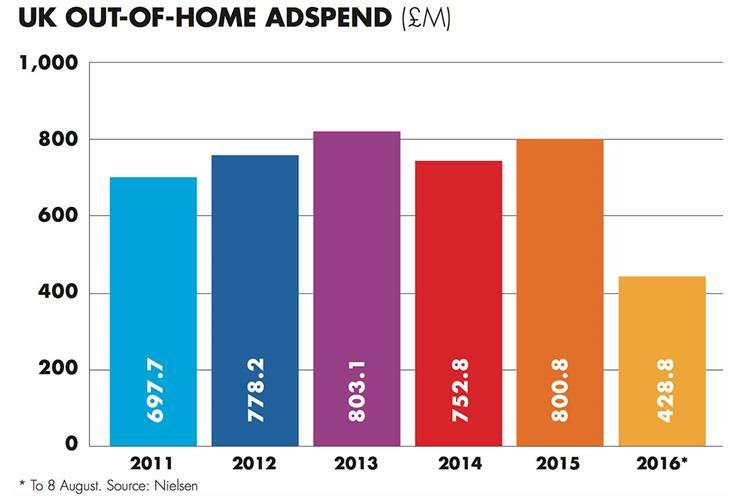 Naren Patel, chief executive of Primesight and former chairman of the OMC, said out-of-home companies would have to take on the task of marketing the sector themselves. He said: "For any trade body that is going to market the medium, you have to be 100% aligned. We got to a position where we didn’t have 100% alignment. It is not something you can half-do." Another industry insider, who did not want to be named, said Outsmart had been put in a difficult position to justify its existence when it became clear that JCDecaux would not be part of the organisation. He defended the action taken by Exterion, saying: "We work in a media channel where we are already working with the outdoor specialists, which we pay for through commissions. "People that haven’t got to write the big cheques will say ‘What a shame’ but they aren’t writing the big cheques… If the tangible benefits of doing it are a bit vague, then you have got to question the sums of money."